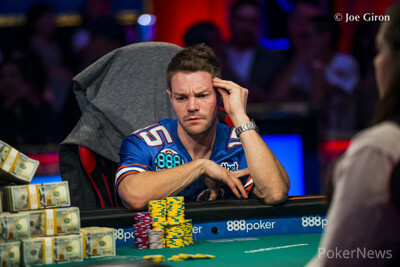 Hand #442: John Cynn made it 9 million from the button and Tony Miles reraised to 34 million from the big blind. Cynn called and flopped. Miles bet 32 million. Cynn called, bringing an turn. Miles jammed for 114 million. Cynn tanked over a minute and called with for trips. Miles turned over for kings up and was drawing dead. 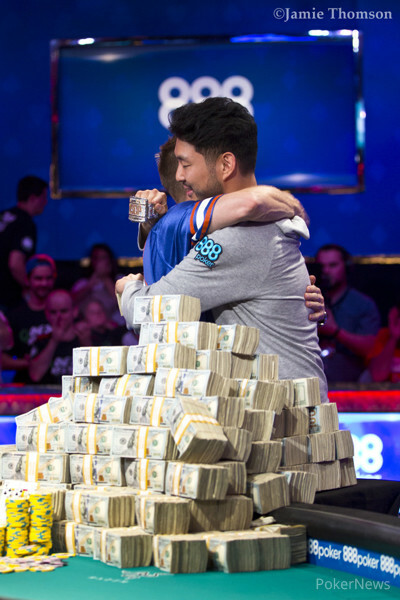 The meaningless river was the and the 2018 Main Event ends with John Cynn as champion.